AAA Limousine is proud to offer a Legendary Lincoln model manufactured by Krystal; the best in the industry. Our high tech media package includes a 21’ flat screen LCD TV with a DVD/CD player with Aux CONNECTION. 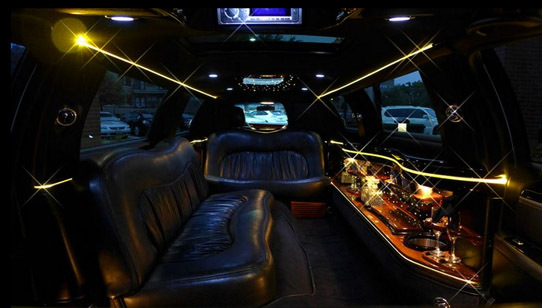 The interior is highlighted with a Fiber optic starlight headliner,2 fiber optic starlight, bars equipped with a variety of bar finishes, includes bottled water and ice. All windows have power privacy glass including the moonroof. The classic all leather seats are in a 3 seat configuration to provide more legs room than a standard j-seat limo. All windows have power privacy glass including the moonroof.